As your skin gets older, it begins to gradually decline, which results in a loss of volume and sunken cheeks. Losing plumpness and volume in your face is one of the hallmark signs of facial aging, and occurs with different degrees of severity, depending on the individual. In the past, going under the knife with surgery was the only option to tighten and lift aging skin. Fortunately, there is now an FDA-approved and non-surgical solution that is specifically designed to address this sagging, aging skin. Voluma is a robust collagen filler that is made from hyaluronic acid, which works instantly to enhance the collagen that already exists in your body, and offers a greater lift that will surely give you skin that is noticeably smoother and decidedly firmer. 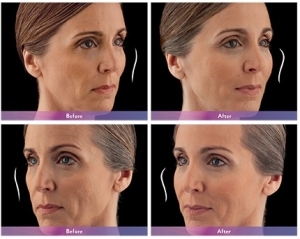 Set up Your Voluma Consultation today with one of our Cosmetic Specialists. 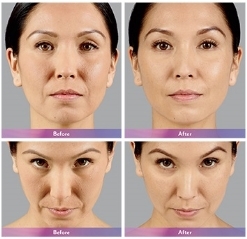 Areas Treated - Voluma is designed to add volume beneath the skin’s surface to lift and contour the cheek area as well as other areas where there is loss of volume. Results - Volume is restored while lines and wrinkles are smoothed. Many patients experience a lifting effect as well. Treatment Interval - Results have been shown to be long-lasting, and many patients retain results for a year or more. 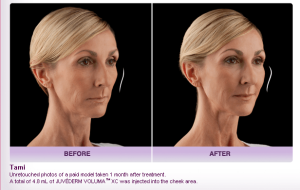 By talking with one of our Burbank Cosmetic Dermatology specialists at Advanced Dermatology Center, we can help you decide whether Voluma is right for you. If you are concerned about the bruising and side effects, we can educate you on steps you can take to decrease the likelihood of these side effects. 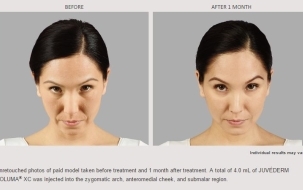 For more information on Voluma and its anti-aging benefits, contact us today.